As we all know, MasterCard is a very powerful and reputable company issuing only high quality cards and providing customers with better services ever. 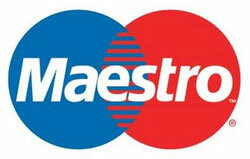 Maestro is a debit card issued by MasterCard. Maestro debit cards are very popular safe and also secure way to transfer money from the bank account as well as to make any kind of purchases. Founded in1988, Maestro Global Network is the worldwide international company providing direct around-the-clock money access from the bank account anywhere in the world. As the electronic payment system, Maestro debit cards are used in more than 100 countries by about 20 millions of people. This multi-national debit card is supported by many financial institutions around the globe. The popularity and trust to the Maestro debit cards can be easily explained by the company's good financial standing, high experience and total customer support all over the world. Internet is a fast-growing market providing many different services, e.g. online purchasing, money transactions and popular online gaming. In order not to lack behind in this e-business, Maestro allows its card holders to make payment not only in the land-based shops or casinos, but also via Internet. It means that the customers are provided with the opportunities to make funding, depositing and other financial transactions. Maestro is a brand with perfect reputation as its cardholders are guaranteed the top security and safety for any financial operations via Maestro debit card. Maestro also pays attention to the convenience and comfort for its clients. That is why Maestro is one of the most frequently used payment method in the online casinos for many years. Players are completely satisfied with the service and support. Maestro debit card can be funded with the help of debit cards, credit cards, cash or even via Bank transfers. Maestro card can be equally used for purchasing and for ATM. Quick direct and secure money access is provided for the Maestro cardholders. Maestro card provide a detailed history of spending with amount, place, date and even time information. Maestro card owners are allowed to shop and use the card anywhere in the world (with low exchange rates when shopping abroad). Maestro card prevents you from carrying too much cash. Top-notch security is provided when using Maestro card. Maestro card operation is similar to the Visa debit card.